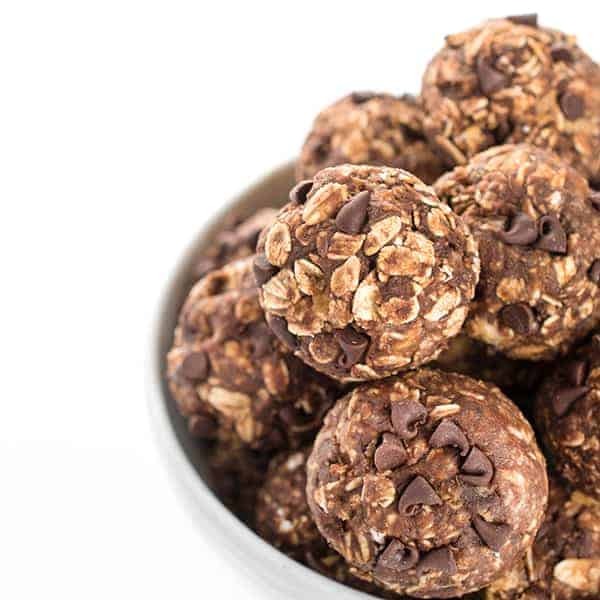 These chocolate peanut butter energy protein balls are filled with creamy nut butter – the perfect healthy snack recipe for eating on-the-go! When you’re a busy mom of two, your life pretty much revolves around snacks. Of course let’s be real, even if you don’t have kids – who doesn’t love having a kitchen stashed with healthy snacks? 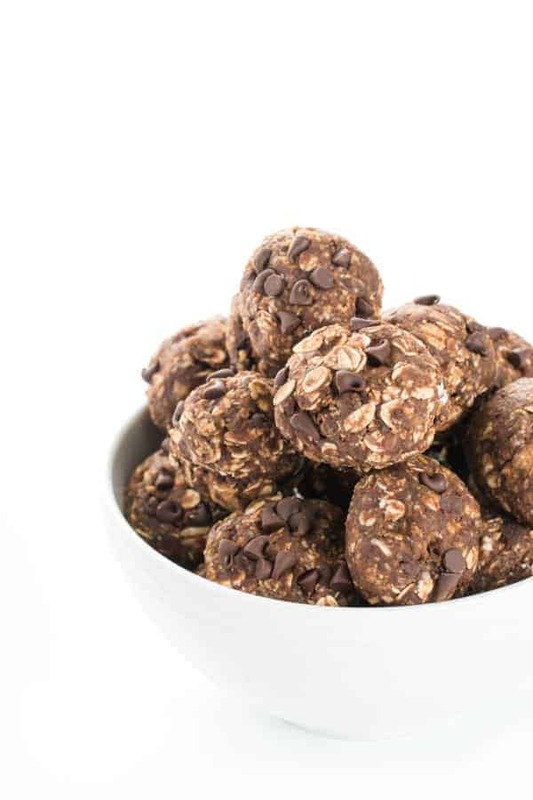 These nut butter filled chocolate banana energy balls are a so easy to make and packed with nutrients to give you energy to get through your busy day. 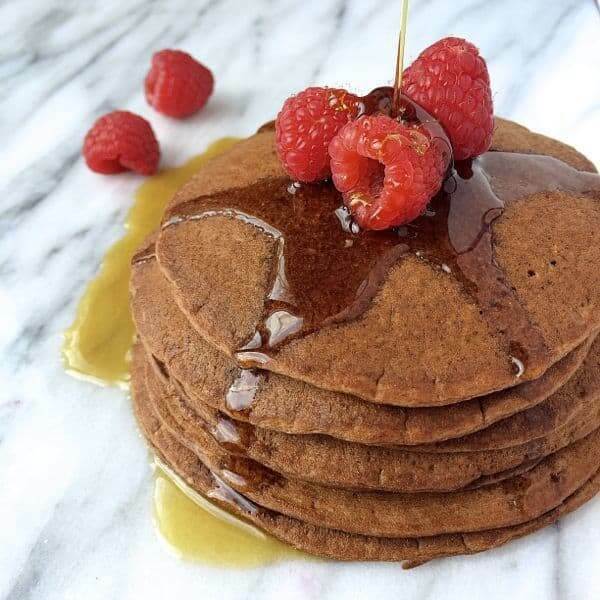 Naturally sweetened with a ripe banana and packed with protein powder and flax seed meal, the best part is when you bite into the middle to find creamy but butter. 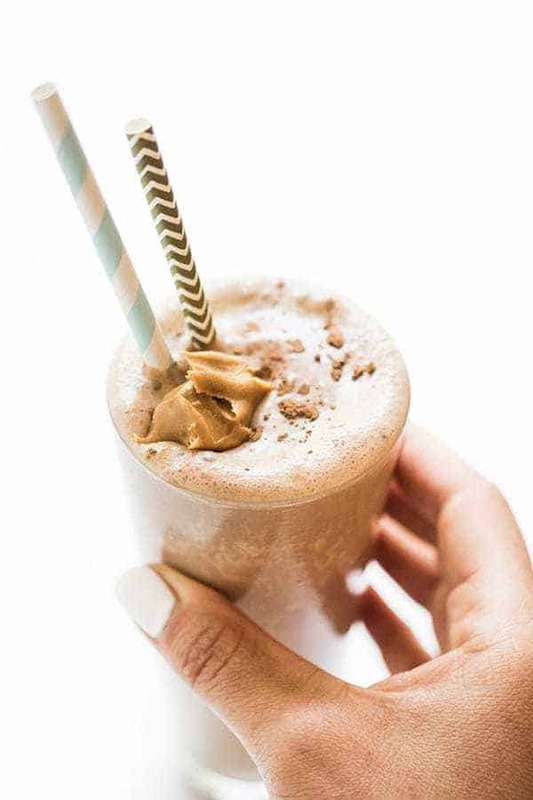 The healthy fats from the nut butter combined with the protein give you that one-two punch you need to after a workout, after school or in between work meetings. 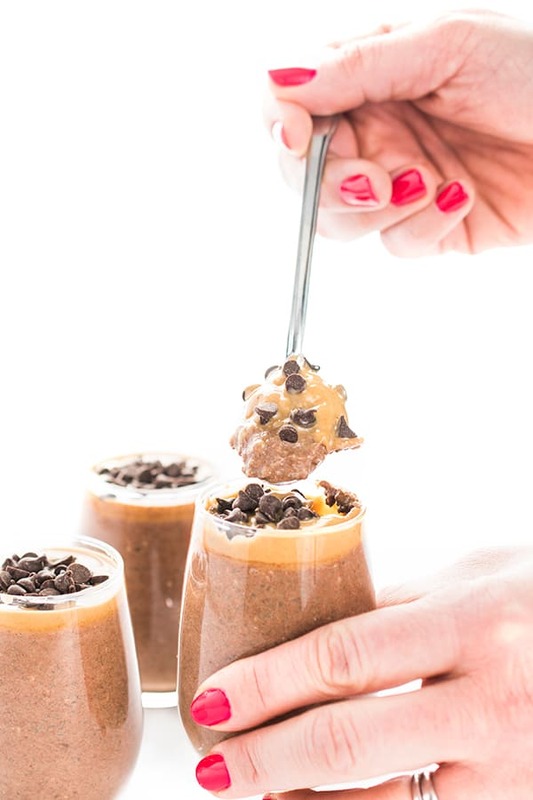 These chocolate banana energy bites are filled with creamy nut butter - the perfect healthy snack recipe for eating on-the-go! 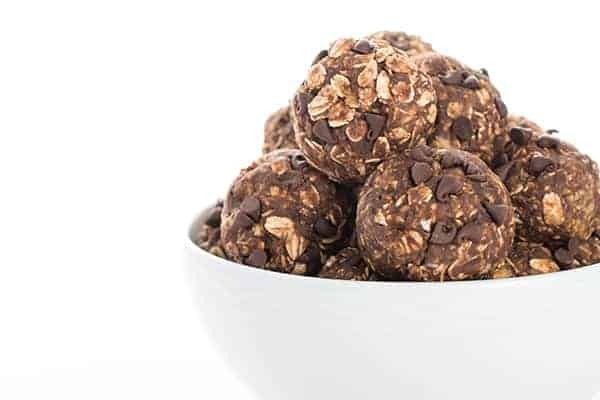 In a medium bowl, mix together mashed bananas, oats, chocolate chips flax, protein powder and cocoa powder. Using a rubber spatula works well to really push the wet ingredients into the dry. Next, use a small metal scoop or tablespoon to scoop out one ball. Almost like you're going to stuff a meatball, form it into a small cup and add in 1 teaspoon of nut butter. Then, carefully cover the nut butter with the oat mixture and roll to form into a ball. Refrigerate until chilled and firm, about 30 minutes or longer. 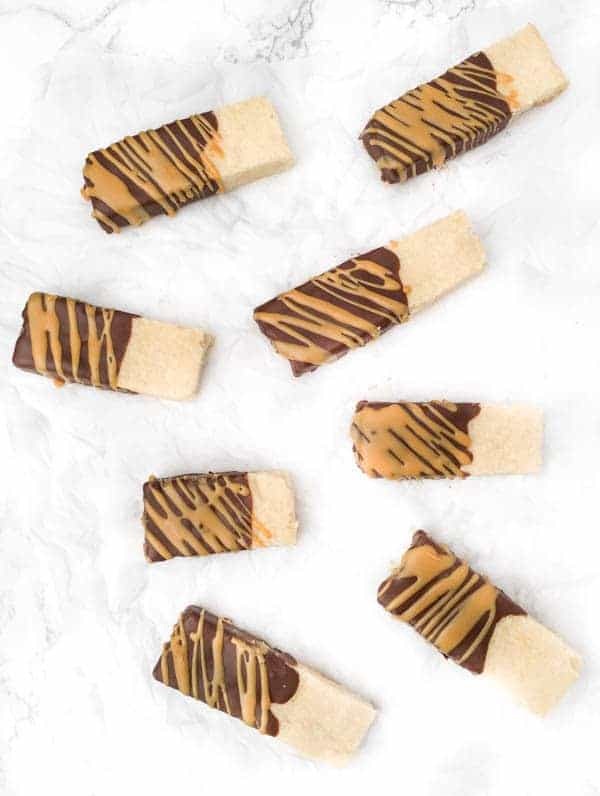 Looking for more healthy snack recipes? Check out my Pinterest board!